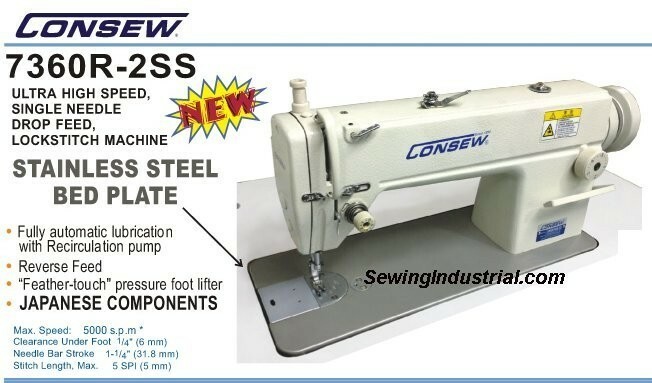 CONSEW 7360R-2SS For Light to Medium Weight Materials. High Speed, 1 Needle, Lockstitch Machine. $650.00 with Free Shipping. Brand new industrial sewing machine in a factory sealed carton.